Impala Platinum Limited (Implats), one of the world’s largest producers of platinum, has revealed a new prototype forklift that is powered by a fuel cell as well as a new hydrogen fuel station. The station is located in Johannesburg, South Africa. The country is home to one of the world’s largest supplies of platinum, which is something the South African government is looking to take advantage of by creating the country’s own fuel cell industry. In order for such an industry to take form, however, a fueling infrastructure must also be established. Implats has worked with Hydrogen South Africa Systems, the University of Western Cape, and the Department of Science and Technology. These organizations launched a three-year project in 2012, which resulted in the development of new fuel cell technology that can be used to power new forklifts. The project also focused on the development of skills associated with fuel cell production and development. These skills are important to foster the development of a fuel cell industry and could create new economic opportunities for South Africa. The commercialization of fuel cell technology has been a goal of many organizations over recent years. Accomplishing this task has been difficult, however, as fuel cells are quite expensive due to their use of platinum. Implats is working to reduce the cost of fuel cells in order to make them more popular, especially in the materials handling space. 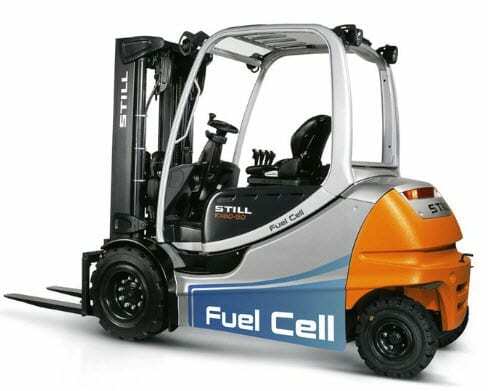 The company intends to use its new fuel cell forklift to manage materials at its Impala Refining Services facility in Johannesburg. Implats intends to accelerate the local manufacture of hydrogen fuel cells and the components they use. The company is making strategic investments in order to explore new opportunities in alternative energy that it can use to power its various operations. The company is also working to encourage foreign investments in fuel cell and clean technology projects throughout South Africa.